While choosing a bedroom design, a lot of things should be kept in mind, such as color, textures, furnishing, furniture, floor covering and a multitude of other things. But how to customize all these elements so that they provide comfort and a cozy feeling at your abode? In this article, we will have a look at bedroom design trends that are on the crest of the wave of popularity in 2017. Color plays a great role in any design, be it a bedroom or a dining room, as the right combination of colors helps create the right atmosphere in your abode. The following design solutions along with some bedroom decorating tips and tricks will help you make your bedroom an elegant place that you will not want to leave. People are becoming more color conscious and aware of how colors can affect the mood in the house. Designers advise adding colorful elements to make the white tones of the room more lively. Be it a black door, a dusty blue linen duvet cover paired with pillows or a bright patterned carpet – the vivid colors will add contrast and individuality to the white space. Plants and flowers can also serve as décor – they will add that exact freshness to your bedroom and make it look even cozier. One of the best interior ideas for bedroom: industrial style. It will suit those who are keen on raw textures and unfinished materials. Concrete walls, that are making a comeback this year, slim legged metallic furniture and heavy brown tones, exposed brickwork painted white are common to the industrial style. Aged wood and iron bed with frames and dark linen pillows will perfectly blend with one another and add cohesion. However, make sure your bedroom doesn’t look too cold and heavy – add some soft and warm colors and textures. Dusty pink, teal, deep blue and rose brown work well for such bedrooms. Combined with wood and warm metals, they will create a sophisticated atmosphere in your room. A plush carpet offers comfort and luxury while soft lighting creates a feeling of a warm place where you can have a rest from the hustle bustle of life. Modern bedrooms have become the whole trend. It seems that people are getting tired of extravagance and want simplicity still looks elegant. One more trend that has become the subject of particular interest is gray on gray. Gray is extremely popular this year, however it is rather a combination of different tones of gray with the addition of a few warm elements. Such design can be completed with a large chandelier and a linen bedding of bright color along with floating side tables will add character to the design. Large paintings and posters can serve as additional decorations. This style can be characterized by functionality and simplicity in combination with elegance. Earthy tones, gray and beige colors will look perfect when paired with white walls. But don’t forget to add a touch of warmth, otherwise, the room will look too cold. Even a small touch of gold will add personality and warmth. 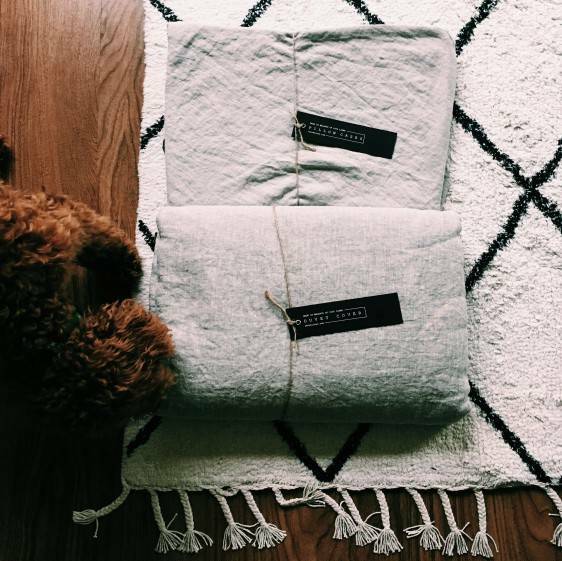 One more accessory that will definitely work is a fur throw – wherever you put it, on seats or on the floor, it will help to create that cozy ambiance we all don’t want to miss. Wood, organic textures and natural materials are the main elements in the Scandinavian style. You may have a hardwood floor or wooden bedside tables or ottomans or even an old barrel restored and utilized as a table – no matter what you choose, you will get a wonderful effect. One more element that will add romance and create a softer look of your bedroom is bedding. High-quality bedclothes made of 100% pure natural linen shall be your number one choice. Len.Ok is right where you can find such bedclothes. 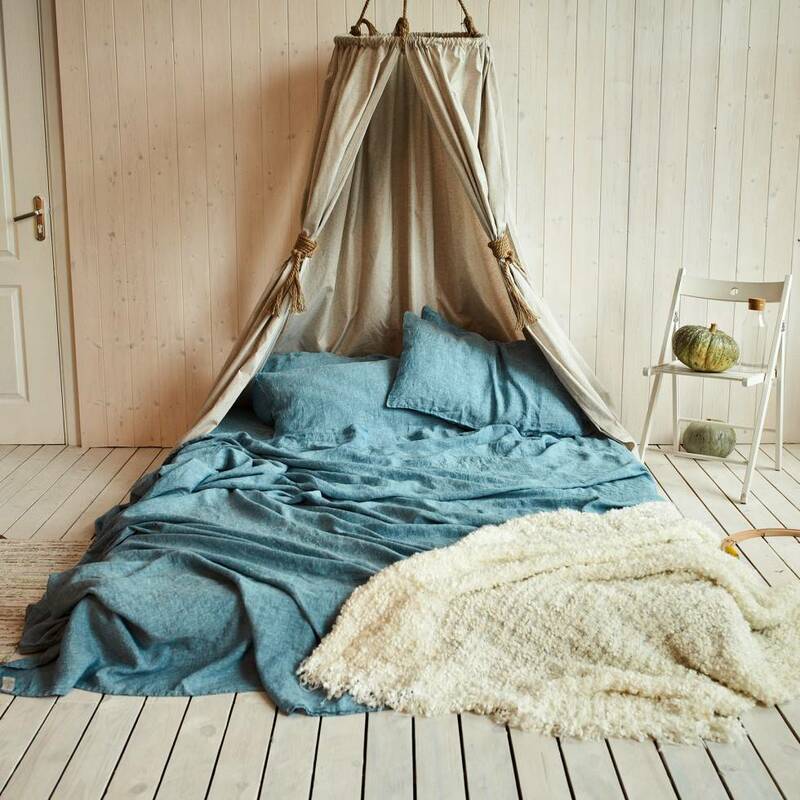 The company offers a wide range of bedding from natural Belarusian linen. No matter what you choose, a whole set, a duvet cover or just a number of pillows – they will become that certain something that will add elegance and sophistication to your bedroom. There’s a growing interest in low bed frames that are commonly used in design of small bedrooms as they help maximize space and make your bedroom appear visually larger and more open. 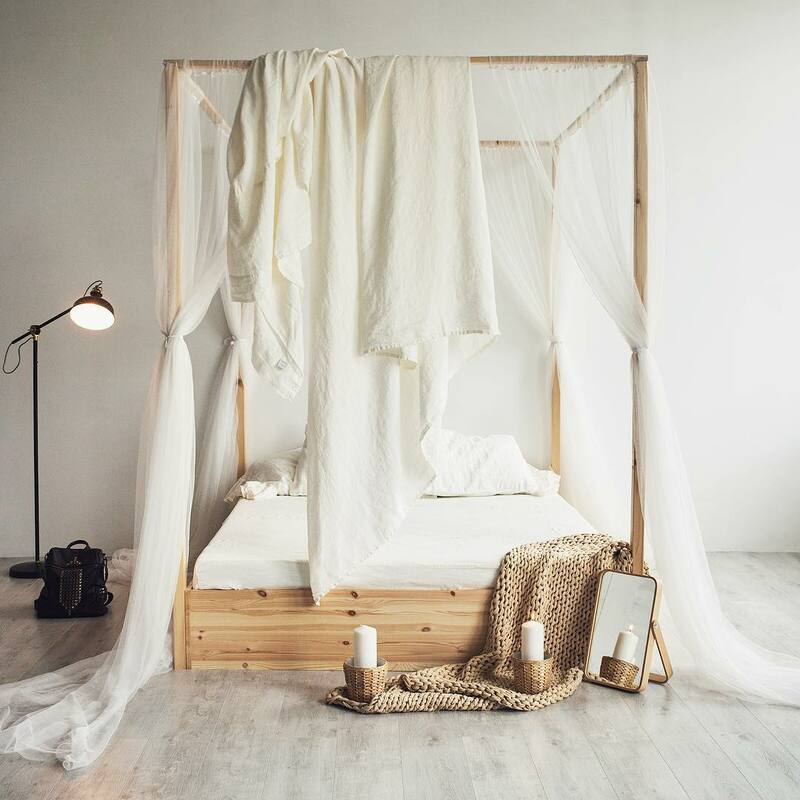 Given the high popularity of natural materials, linen bedclothes of antique white or a more vivid color will fit the style of the bed perfectly. 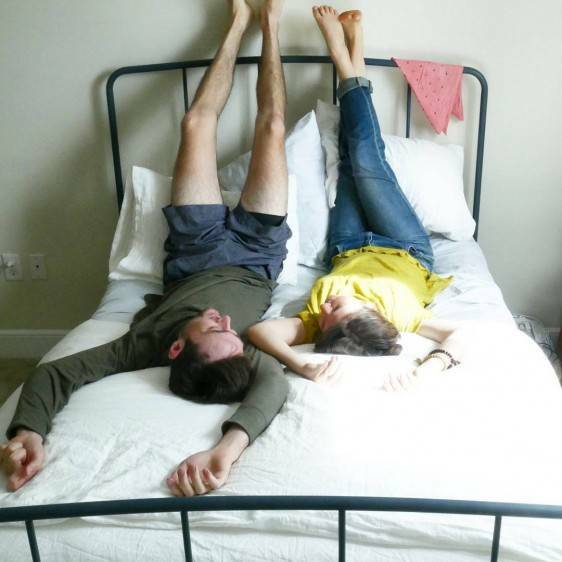 There’s even no need to make the bed – this is one more peculiarity of this style. In recent times, four-poster beds have become one more subject of great interest. Coming in different variations, from clean rectangular styles to wooden bed frames with intricate wood carvings, such beds can add a touch of luxury and chic and romance to any bedroom. What is more, contrary to popular opinion, they don’t overwhelm the room and don’t look too imposing, even in small rooms. Plus they may have an underbed storage that also helps save space. While there are so many styles and options, designing and creating a list of interior Ideas for a small bedroom can become a real challenge. With the limited space, every square meter should be used wisely. Having the right arrangement of furniture inside the bedroom is essential for easy movement. Make sure you arrange furniture in a way that will help you avoid stumbling. Place the bed at an angle and, as storage is the primary concern, have some under-bed drawer that will host extra bed clothes and give your room additional space. Built in wardrobes are perfect space savers, while mirrors will create the illusion of additional space. Most importantly, make sure to choose the proper type of wardrobe doors in order to avoid problems with opening them. The same rule should be applied to bedroom doors. Our choice would be sliding doors in both cases. Bedclothes play a great role in a bedroom design. However, it’s significance is sometimes ignored. 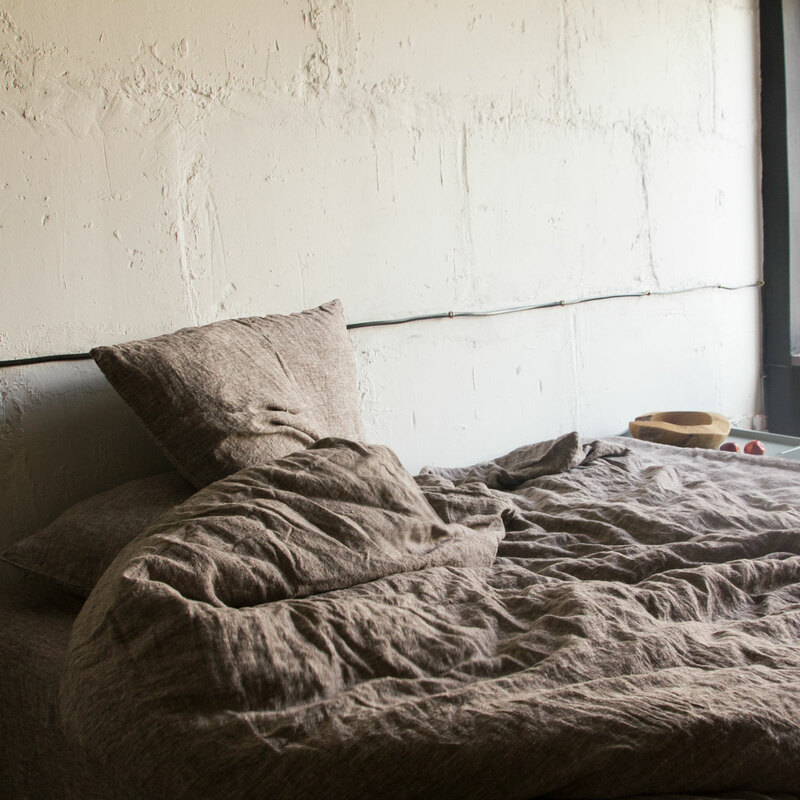 A high-quality bedding will add coziness to the room and help reflect its unique style. 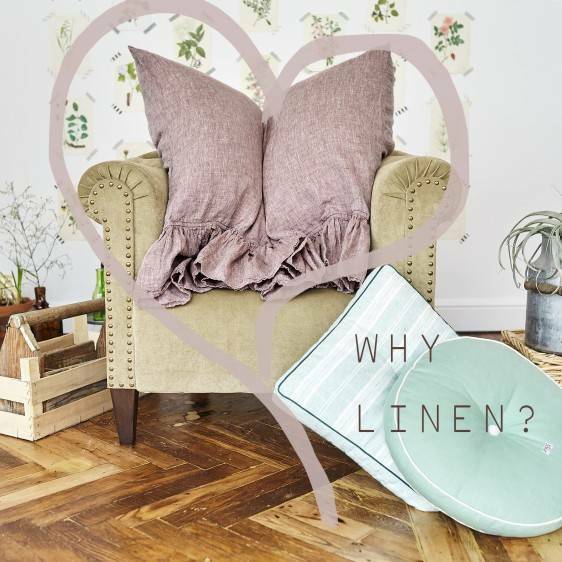 The best choice will become a bedding made of linen fabric that is well-known for its durability and ventilating, moisture absorbing properties. Given the hectic pace of today’s lifestyle, a bedroom is a place that will help you recharge and refocus. That is why, the right bedroom design will provide you with comfort, and allow for your good spirits and sound sleep.